The Chicago Tribune has reported on the details of Chicago's forthcoming Streets for Cycling 2020 Plan that were in part unveiled yesterday at a forum sponsored by iGo at Chicago's Union League Club. 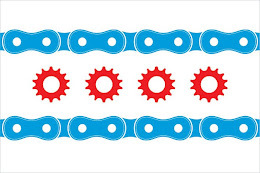 The most significant detail of the forthcoming Streets for Cycling 2020 Plan is that Chicago's leaders believe that the City can support three to five times the number of bicyclists that it does now. In addition, the Streets for Cycling 2020 Plan will add 600 miles of bicycle facilities to the 100 miles of protected bike lanes called for by Mayor Emmanuel. As bicycle law attorneys who live and practice in the Chicago area, we have seen both the positives and negatives in the surge of bicyclists in Chicago. The positives include the health and environmental benefits of bicycling as a recreational activity and mode of regular transportation.The negatives include a rash of bicycle accident related injuries as a result of drivers who do not accept their responsibility to "share the road" and in some instances outdated infrastructure that is not conducive to safe bicycling. These factors lead to doorings, intersection collisions, bike accidents from hitting potholes, and other common causes of bicycle accidents. The fact that Chicago continues to be a leader in "big city bicycling" is applauded by the bicycle law attorneys at Keating Law Offices. The fact that the City has made "big plans" about bicycling will lead to a populace that appreciates and accepts bicyclists on its roadways and will lead to modernized infrastructure that will be more conducive to bicycling. The combination of these factors will help Chicago reduce the number of bicycle accidents and bicycle deaths on its streets. If you have any questions regarding this post or an issue involving Illinois personal injury law, please contact Illinois Bicycle Attorney Mike Keating at 312-208-7702 or MKeating@KeatingLegal.com 24 hours a day, 7 days a week. All e-mails and phone calls are returned promptly. All initial consultations are confidential and free. Keating Law Offices is conveniently located in downtown Chicago and its attorneys are available to meet with you in your home or at work if necessary.